Spotted at Rite Aid, this card is from American Greetings’ “Just Wink” collection. 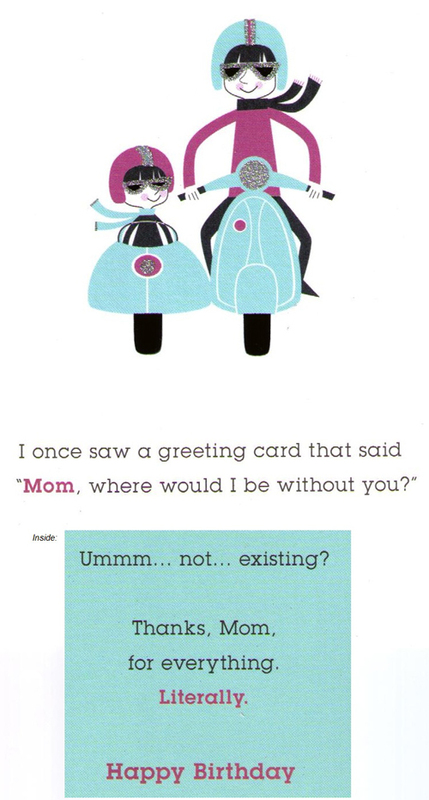 You can also send a digital version of this card to your Mom for her birthday. This entry was posted in Media, Stationery and tagged american greetings, birthday card, digital, just wink, mom, personalized, scooter, sidecar, vespa by Tracy. Bookmark the permalink.